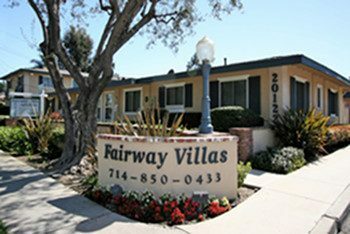 SCP acquired the 32 unit Fairway Villas Apartments in June 2005 from a private investor using a bank loan and private equity. The property, which consists of all two and three bedroom units, had been family owned for many years. It was reasonably maintained, however, the rents were well below market. SCP recognized not only the opportunity to substantially increase the rents with an effective renovation, but also the potential to obtain a condominium map and potentially sell the property as condominiums.We improved the building exteriors and curb appeal and completely renovated the unit interiors. SCP has also received approval of a conditional use permit to convert the property to condominiums and has received approval of the Tentative Tract Map for conversion to condominiums.Also, the property, previously located in unincorporated Orange County, has now been annexed into Newport Beach. Fairway Villas was sold in 2014.